Once you have paid for this package we will put you into the Online Courses and you can start watching. All of the Courses are ON DEMAND. You can watch at your own pace. Also included in this pacakge is the "6 DVD Black Panther Bundle Pack" as show Below. 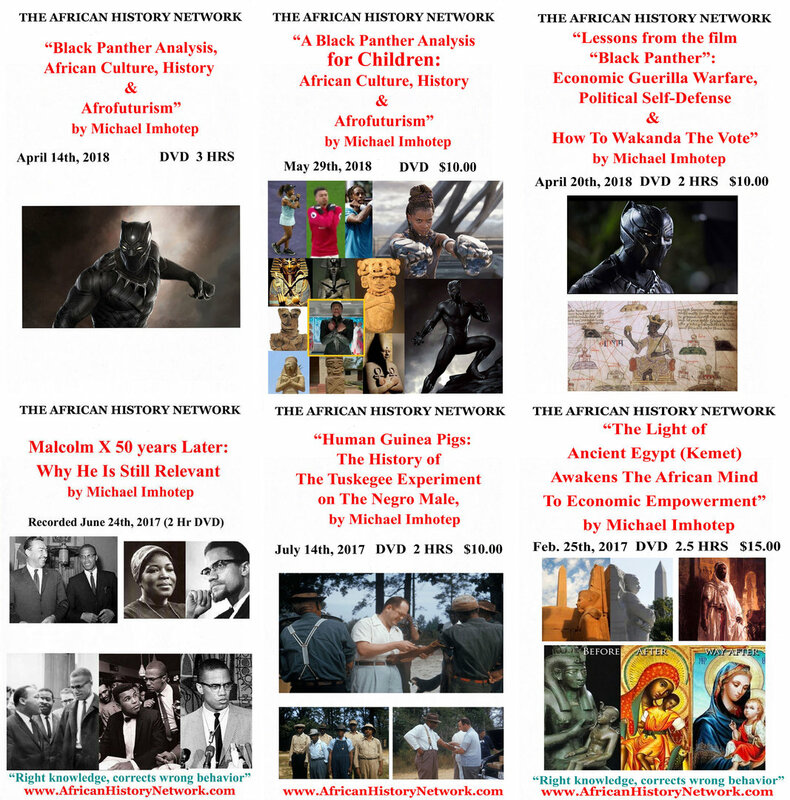 The "Black Panther 6 DVD Bundle Pack" included 6 presentations from Michael Imhotep host of "The African History Network Show". This includes 3 presentations from Michael Imhotep dealing with the film "Black Panther".